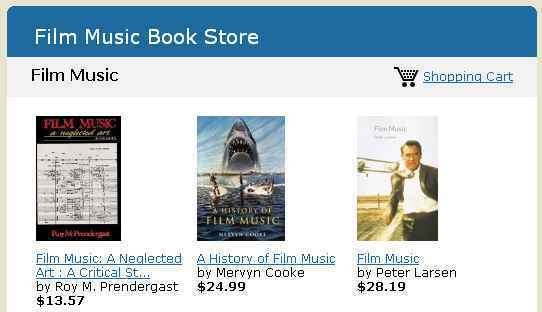 Film Music Book Store contains more than 100 books. "The Aesthetics of Film Music"
New movie music news and rankings. Reviews of modern soundtracks, tributes to past and present composers, auctions for rare soundtracks and information for the serious collector . Express the world of movie music with spotlights on the artists behindthe music. This site has detailed information on the history of music in silent and early sound films. Oxford University: "...an excellent collection of resources and links.."